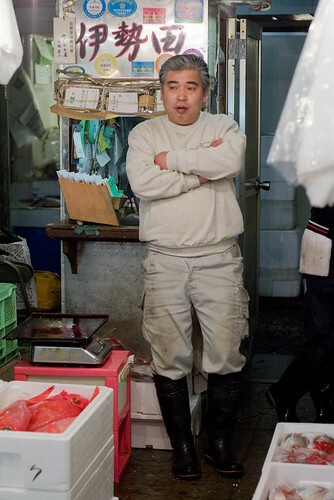 Wedding & Event Photography Blog of Simon Butler Photography: Tokyo Fish Market - what a place! 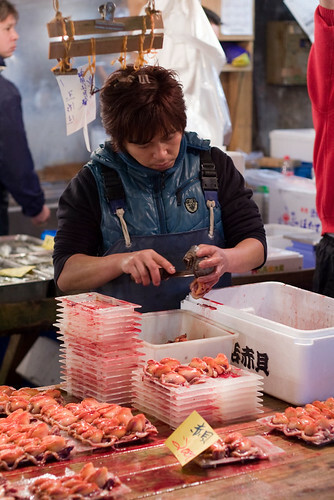 Tokyo Fish Market - what a place! 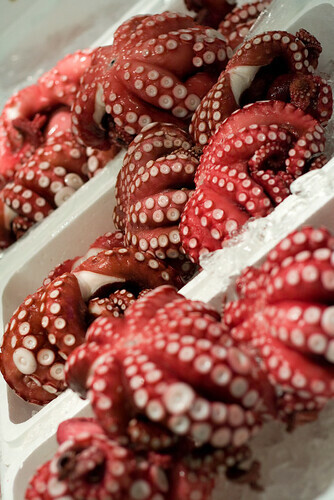 Red Octopus, originally uploaded by electrolyte2006. 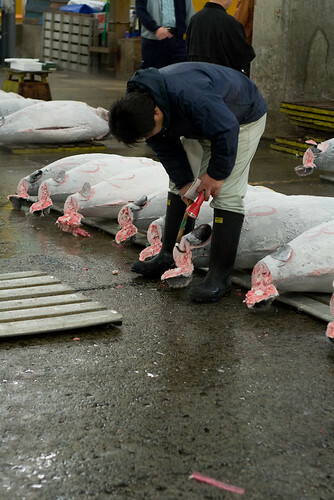 As I mentioned in my earlier blog I went to the fish market this morning. And it was an amazing experience. It was so good that it was worth getting up at 4.35AM for. And there aren't many things that I can say that about! 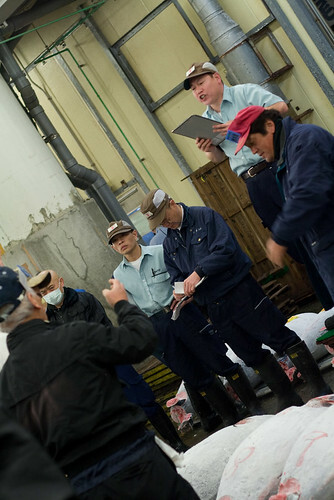 Public viewing of the daily fish auction is only allowed between 5.00AM - 6.15AM, hence the early start. The auctioneer then gets up on a step, rings a bell for a minute and then starts the auction. 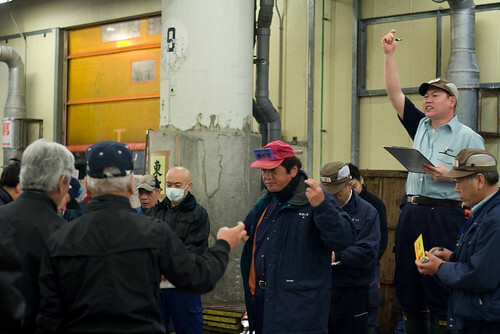 He was very enthusiastic and shouted very quickly in Japanese and kept pointing at the bidders. It happened very quickly and was very entertaining to watch. 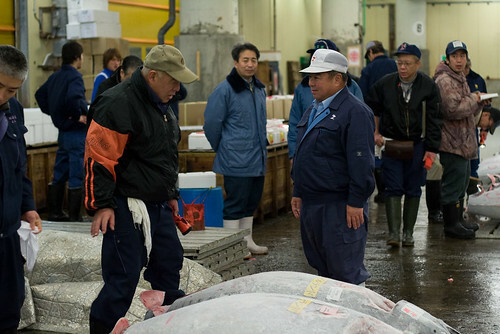 Once the auction was over, we then went out into the main market. 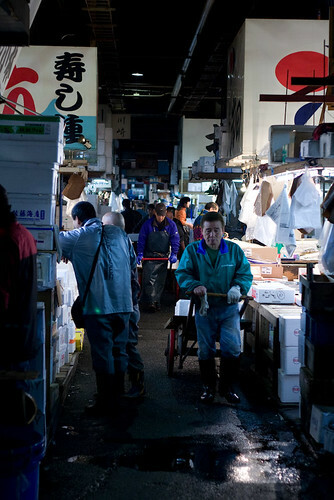 This was a maze of narrow alleys with lots of store holders selling various types of fish and seafood. 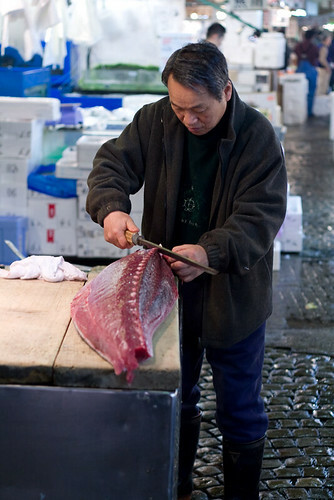 The place was a hive of activity - there were loads of small trucks being driven down each alley very fast transporting the fish. And the drivers had no intention of ever stopping if you got in their way; it was definitely up to you to get out of their way! 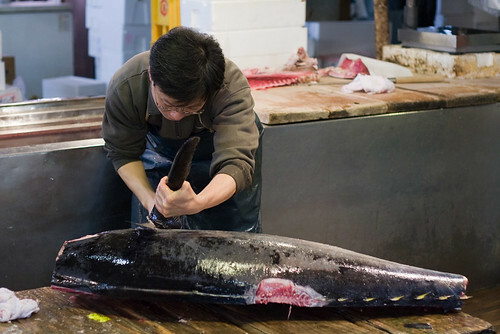 Added to that most of the blokes there had 2 foot long ultra sharp knives to cut up their fish and again they weren't worried if you got in the way either. I think the UK Health and Safety police would be appalled if they paid a visit! The floor in the market was covered in lots of fishy water so the bottoms of my jeans got wet. 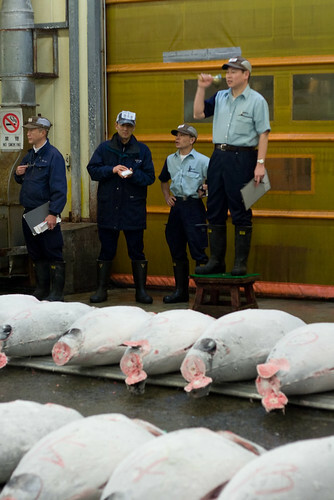 So consequently I stank of fish once I got back to the hotel for breakfast. I think it was definitely a mistake to only bring with me one pair of jeans! I think while the exhibition is on from Wednesday I will get my hotel to clean my jeans for me! Otherwise, I pity the poor person sat next to me on the plane on the way home. Thanks Andrea. Luckily I managed to get the jeans cleaned by the hotel so they were fish free for the rest of my trip.